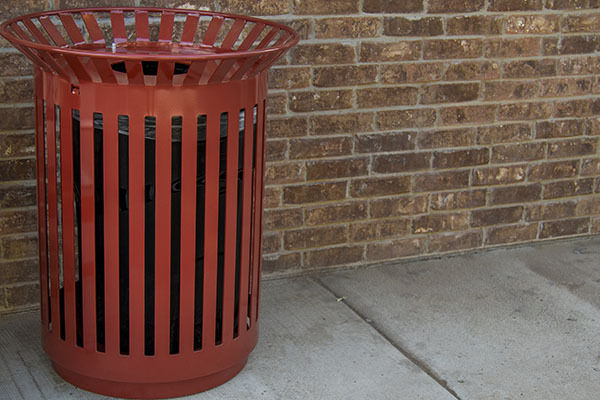 The Classic Flare Trash Receptacle is laser cut with parallel line designs to accentuate the Classic Bench. 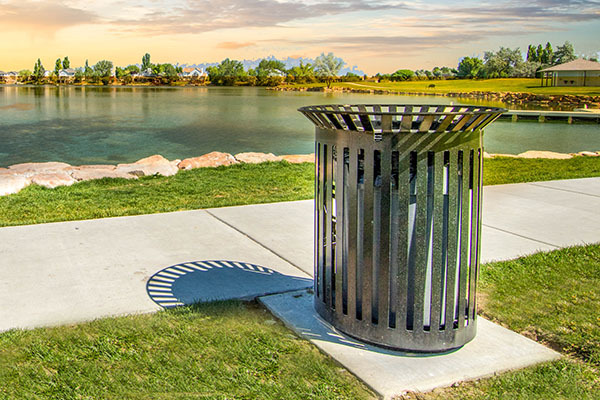 The metal receptacle is available with special features for easy cleaning and quick bag removal. 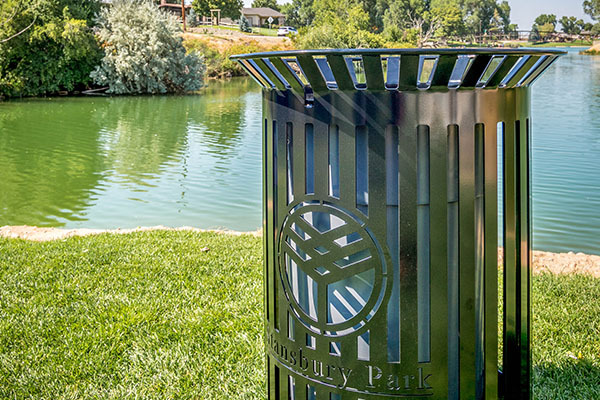 To order your metal trash receptacle, call (801) 414-1724 or click the link below. 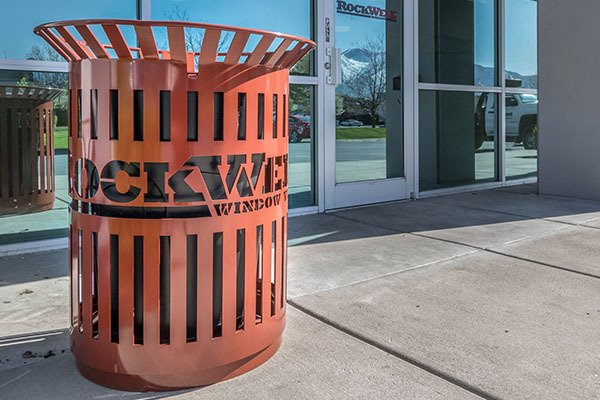 20, 32, and 44 gallon size trash receptacles are available. 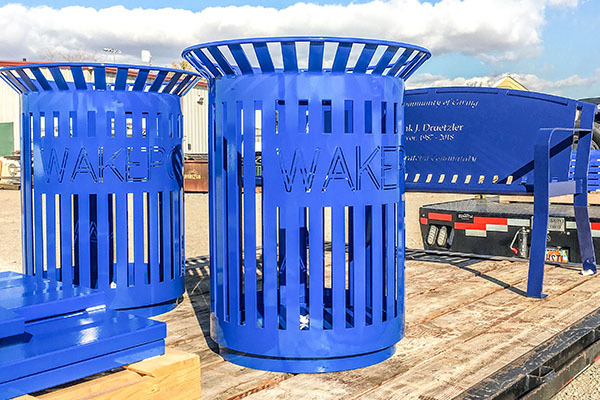 The receptacle is fully welded and powder coated for durability. 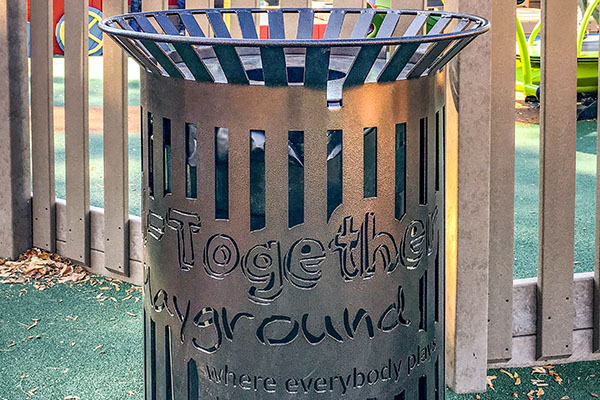 Powder coat provides a rust proof finish on the metal surface. 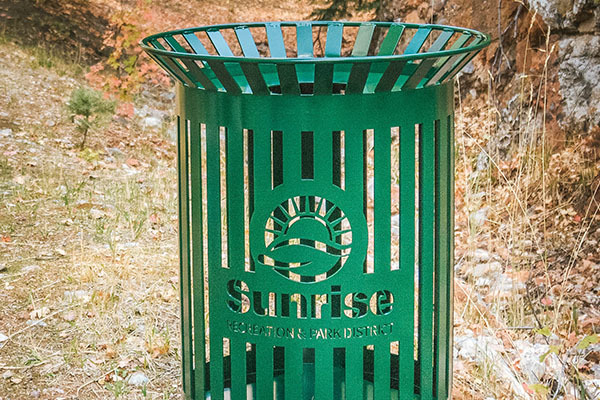 A logo can be cut directly into the metal receptacle. 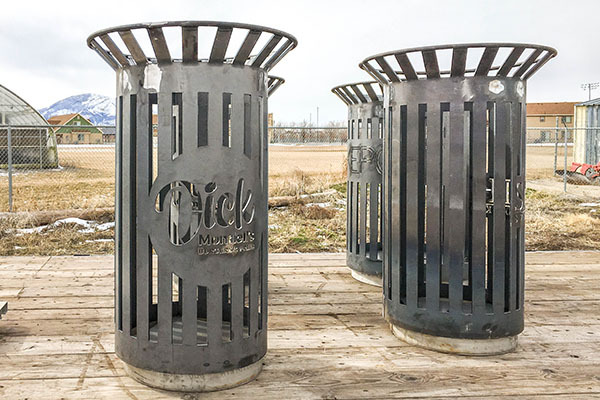 Add a city or business logo to the Classic Flare Trash Receptacles and other site furniture. 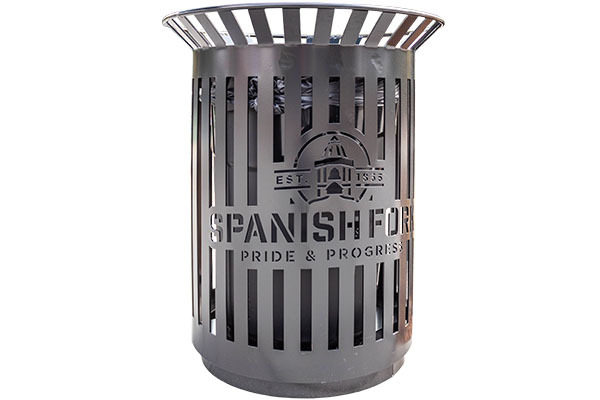 Our designers will tab the logo to make it compatible for laser cutting. 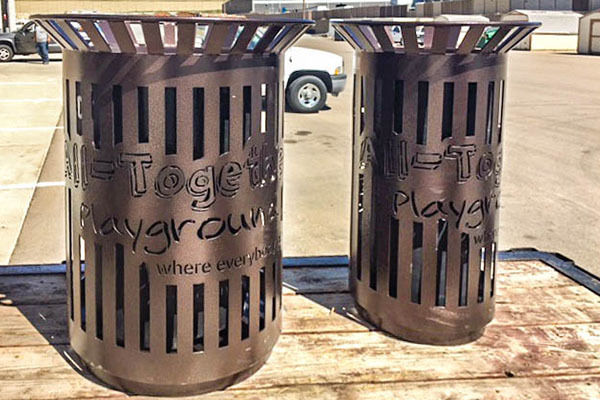 To avoid rust and corrosion, each trash receptacle is sandblasted, primed, and powder coated. 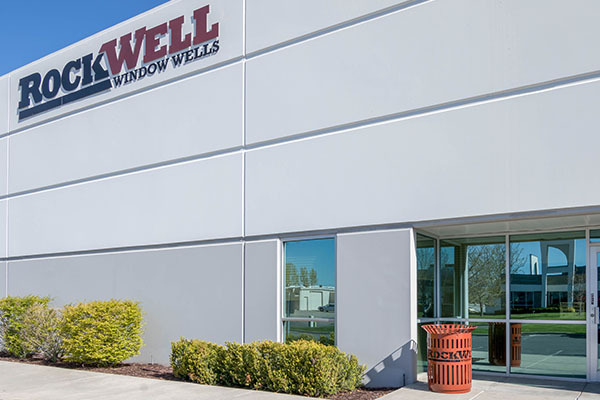 This process creates an impermeable barrier between the metal and outdoor exposure. 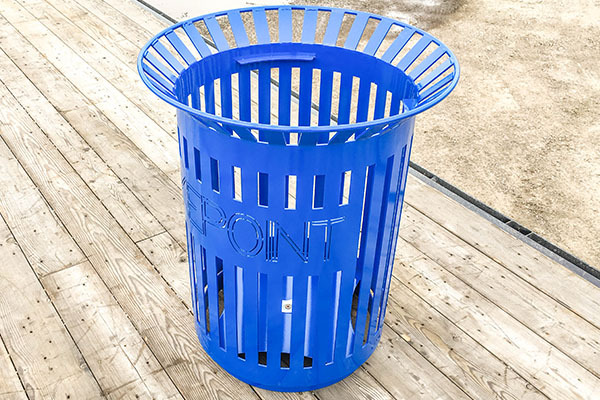 The Classic Flare Trash Receptacle will also keep its color, even after harsh sun rays and rain. 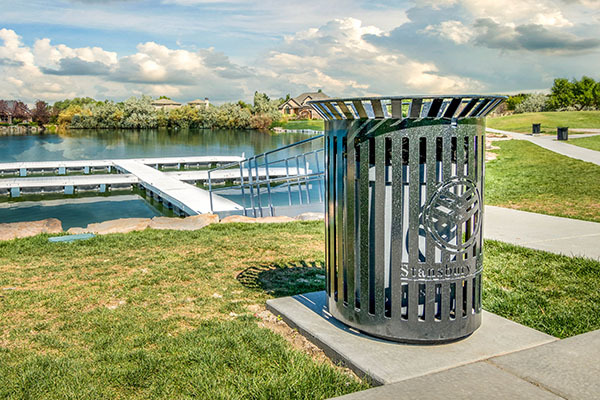 Easy to clean lid and surface area. 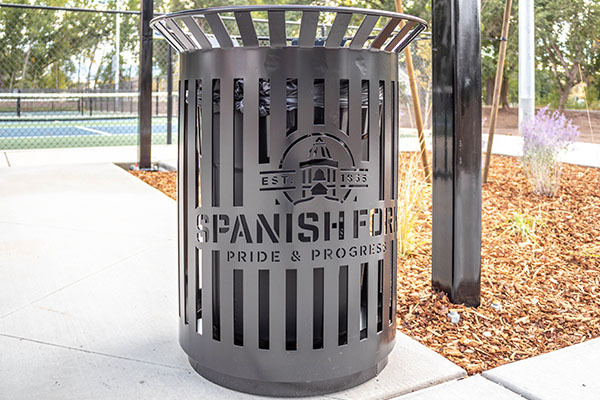 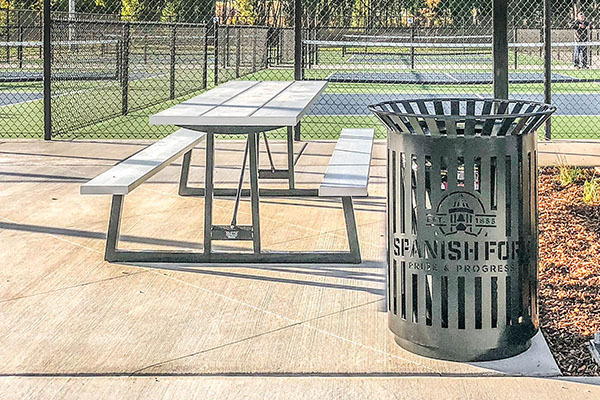 Helps keep city parks and commercial districts free of litter.